What salary in the United States puts you in the top 10%, top 5%, top 2%, and top 1% in terms of salary? In order to be in the top 10% – you need an annual salary of $90,000 and above. In order to be in the top 5%, you need an annual salary of $130,000 and above. In order to be in the top 2%, you need an annual salary of $195,000 and above. 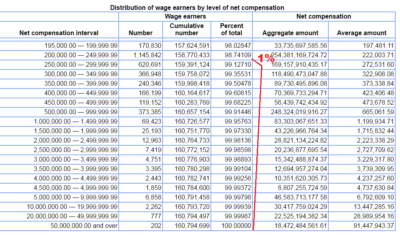 In order to be in the top 1%, you need an annual salary of $255,000 and above.